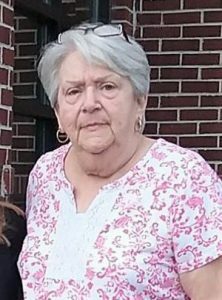 RICHMOND AND KITTY HAWK – Julia Mae Rogers Horton, 75, of Richmond, VA died Sunday, April 7, 2019, at her son’s home in New Kent, VA.
A native of Kitty Hawk, NC, she was born December 12, 1943, to the late Lucy Viola Perry and Herman Leroy Rogers. Julia is survived by a daughter, Pamela Forrest; three sons, Raymond Lee Horton, Robert B. Horton III and wife Brandy, and Daniel Hardy Horton and wife Kristy; and three grandchildren, Daniel, Sydney, and Cayla. In addition to her parents, she was preceded in death by her husband, Robert B. Horton, Jr.
A graveside service will be held at 11:00 am on Thursday, April 11, 2019, at Austin Cemetery, Kitty Hawk. The family will receive friends and relatives Wednesday evening from 7:00 pm until 8:00 pm at Twiford Colony Chapel, Manteo.